Palestinian protesters stand in a cloud of tear gas fired by Israeli forces during confrontations in the West Bank city of Bethlehem in October 2015. Round the back of Ramallah’s main hospital lies the house of Iyad Haddad, a 52-year-old human rights investigator. His home office is the shopfront of a decrepit building and at first glance it looks like a bric-a-brac shop. But the objects placed out on the tables are not household trinkets. The surfaces are, in fact, cluttered with spent ammunition, tear gas canisters, sponge bullets and shell casings. Haddad has spent the past three decades documenting the violence of the Israeli forces occupying his people’s land. These ugly little pieces of memorabilia are his testament to that process. Many of these weapons have been fired on peaceful demonstrators protesting against Israel’s wall and settlements in the occupied West Bank. 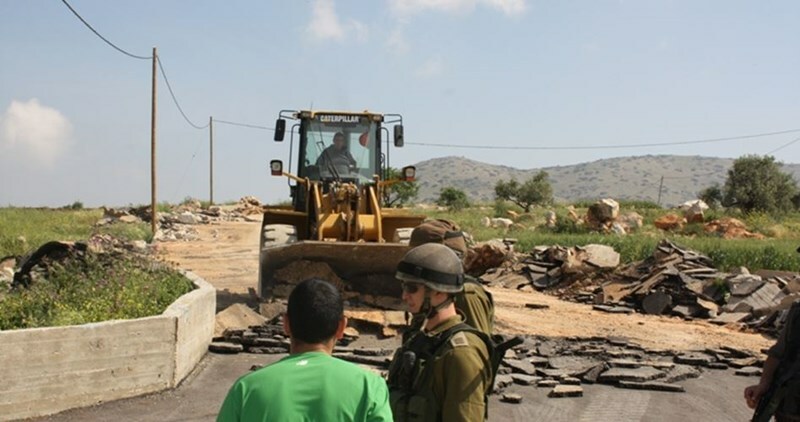 The villages of Nilin, Bilin and Nabi Saleh have been organizing regular protests for years. To my surprise, Haddad does not approve of those demonstrations. The idea that the Israeli arms industry benefits from the occupation through having a captive population it can test new weaponry on is now widely accepted. Israel tries out weapons in the West Bank and Gaza and then presents them as “battle proven” to the international market. The high-velocity tear gas canister has been heavily tested in Bilin. In 2009, the weapon killed Bassem Abu Rahmah, an unarmed local activist, protesting the wall slicing into that village. At the end of 2011, another protester, Mustafa Tamimi, was killed in Nabi Saleh by a tear gas canister, shot at his head. But he goes on. He must go on. A Palestinian youth throws stones towards a truck with a skunk water canon during confrontations near the Beit El settlement outside the West Bank city of Ramallah in October 2015. Later, in Ramallah, I sat down with Abdallah Abu Rahmah, coordinator of the Popular Struggle Committee against the wall and settlements in Bilin. Every Friday – for a decade – he and his neighbors have gone to the wall to protest. For these efforts, they have been subject to night raids by the Israeli military. Abu Rahmah himself has been arrested and imprisoned by Israel a number of times. Skunk water is a putrid smelling liquid that is sprayed at protesters in order to get them to disperse. 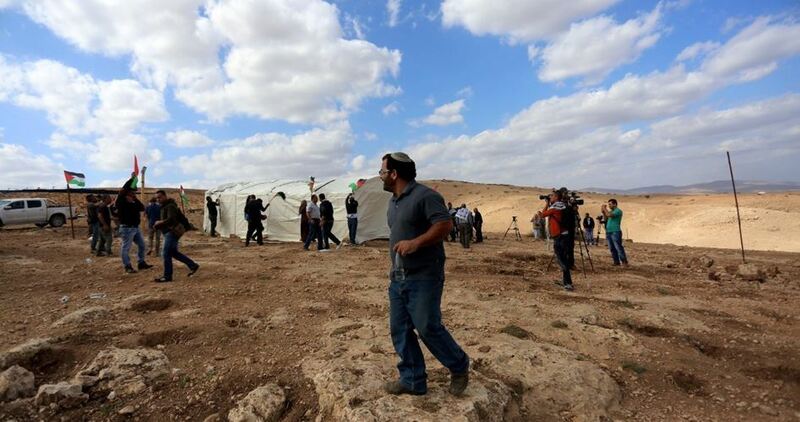 “Because Bilin is famous, sometimes they come to our actions and they take video and photographs showing how effective the weapons are in stopping the action,” Abu Rahmah said. Eitay Mack, a Jerusalem-based human rights lawyer and activist, raises the prospect that Israel uses Palestinians as test subjects for foreign arms companies as well. The black sponge bullets are manufactured [PDF] by Combined Tactical Systems, a Pennsylvania-based firm which also supplies Israel with tear gas. Israeli troops began using the black bullets in 2014. The Israeli arms industry is dominated by four companies: Israel Aerospace Industries, Elbit, Rafael and Israel Military Industries. More than 75 percent of all weapons exported by Israel are made by the first three of those firms. In 2015, the total value of Israel’s arms exports came to $5.7 billion. The attack on Gaza the previous year enabled Israel to showcase some of its newest weapons. It was reported, for example, that the Hermes-900, one of Elbit’s drones, made its “operational debut” in that assault. Israel allocates more than 5 percent of gross domestic product to the military. That means Israel spends a higher proportion of its national income on the military than even the US, the world’s only superpower. Some veterans of the Israeli military have developed careers as experts on the arms industry. Shlomo Brom is one of them. A retired brigadier general, he now works at the Institute for National Security Studies in Tel Aviv. Uzi Rubin, a founder of Arrow, an Israeli anti-ballistic missiles program, is now a researcher at the Begin-Sadat Center for Strategic Studies in Bar-Ilan University near Tel Aviv. In her view, the Israeli weapons industry should think beyond weapons such as tear gas and skunk water that it is already deploying in the West Bank. Her comments reveal much about the sadistic mentality of Israel’s weapons-makers and their promoters. For them, Palestinians are not human beings worthy of respect but subjects in one cruel experiment after another. Matt Kennard is director of the Centre for Investigative Journalism in London. He is the author of Irregular Army: How the US Military Recruited Neo-Nazis, Gang Members and Criminals to Fight the War on Terror (Verso, 2012) and The Racket: A Rogue Reporter vs The American Elite (Zed, 2016). His trip to Palestine was partly funded by the Pulitzer Center on Crisis Reporting. A security official said Tuesday that the Defense Ministry is currently undertaking strenuous efforts to acquire ground-to-ground missiles with a firing range of more than 200 kilometers, equipped with warheads weighing between 450kg and 500kg which could be used in the northern sector. 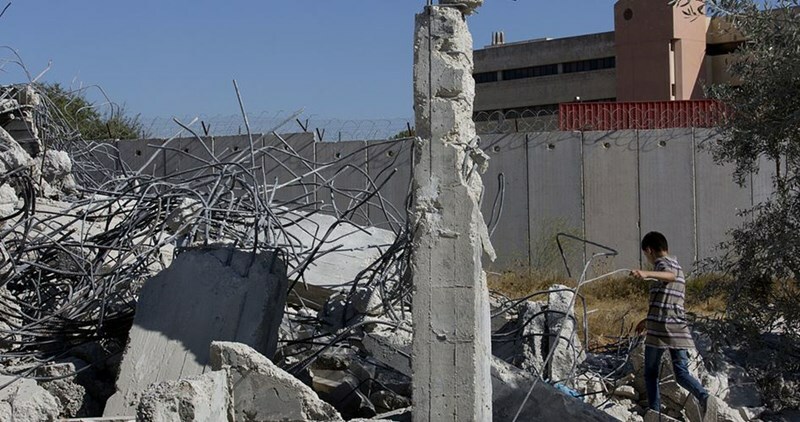 According to the official, the move has been met with opposition from officials in the IDF since it will necessitate the allocation of financial budgets earmarked for the Air Force to the bodies tasked with operating the rockets. In early December, the Knesset Foreign Affairs and Defense Committee approved second and third readings for a shortening of compulsory military service for IDF soldiers to 30 months set to begin in 2020. As of last year, all males drafted for mandatory military service began serving 32 months, instead of three years. The source added that in recent days, efforts have been made to enlist soldiers into special forces units for a period of four years to be signed in advance to mitigate the shortcomings caused by the shortened service time. Turning to Israel’s enemies in the north and the south, the source said that a number of terror organizations—mainly ISIS—are trying to lay their hands on unconventional weapons such as chemical weapons from bunkers and weapons depots abandoned by President Assad’s forces in Syria. As F-35 fighter jet makes its way to Israel, US President-elect Donald Trump expresses outrage on Twitter over the costs involved in the program. 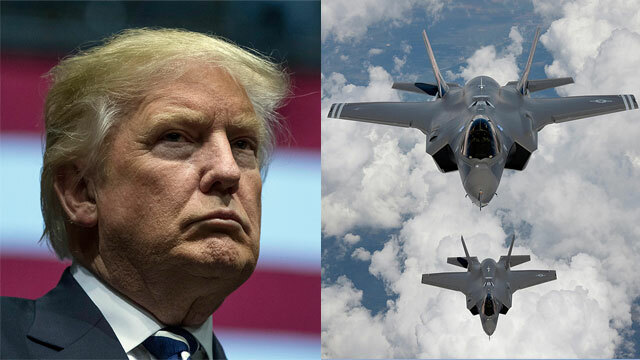 US President-elect Donald Trump wrote on Twitter earlier on Monday that the F-35 program and cost is "out of control. Billions of dollars can and will be saved on military (and other) purchases after January 20th." The F-35—the most technologically advanced fighter jets in the world, is currently on its ways to Israel to augment its already formidable air force. Lockheed Martin has invested large sums of money to reduce the price of the F-35 stealth fighter program, a company executive said in Israel on Monday, responding to Trump's criticism about costs. "Since the beginning, we have invested hundreds of millions of dollars to reduce the price of the airplane by about 70 percent since its original costing, and we project it to be about 85 million dollars in the 2019 or 2020 time frame", said Jeff Babione, Lockheed Martin's F-35 programme leader. Babione was in Israel for the arrival of the first F-35s ordered by the Israeli air force. A super high-explosive (S-HE) projectile has just joined Israel’s arsenal of lethal artillery bombs that its army uses against Palestinian civilians in particular. According to Yedioth Ahronoth newspaper, the government-owned Israel Military Industries company manufactured this new projectile, whose warhead is up to five times more destructive against individuals and armored vehicles than its HE forerunners. Its parachuted 23-kilogram warhead also detonates precisely at an optimum height over any target and thus covers a wider area, about 6,000 square meters. Although the Israeli government keeps claiming that its bombs and missiles comply with the Oslo Convention, those projectiles have claimed the lives of thousands of civilians, including children, and destroyed tens of thousands of homes and structures during different military operations against Gaza. Analysis: Why was the prime minister so eager to finalize such an expensive submarine deal with Germany, which would only be implemented at least 10 years later? And why did he ignore all professional elements and make the decision on his own? The affair involving the purchase of three additional submarines from Germany raises profound questions about the conduct of Prime Minister Benjamin Netanyahu and his people. It’s safe to assume that if an investigation is ever launched into the matter, former Defense Minister Moshe Ya’alon would be happy to provide a testimony. 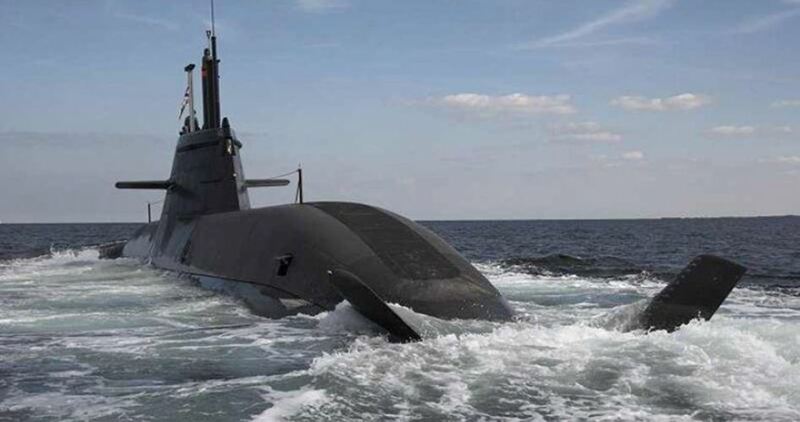 According to sources in the Defense Ministry and in the IDF, the first time the defense establishment found out that the prime minister planned to purchase three additional submarines for the Navy was in the second half of 2015. During that period, the defense establishment and the National Security Council (NSC) were in the midst of discussions on the components of the multi-year “Gideon” work plan. 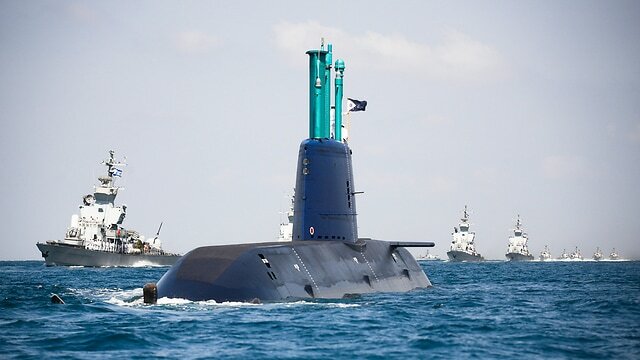 The plan, which was submitted by the IDF at the time, included a recommendation to remove one Dolphin-class submarine from the order of battle after the arrival of a new submarine – the last one in the current deal with Germany – in 2019. The memo submitted by then-NSC head Yossi Cohen, today’s Mossad director, reveals that the prime minister instructed the NSC and the defense establishment to purchase three additional submarines. In other words, to increase the IDF’s submarine fleet to nine submarines. But then-Defense Minister Moshe Ya’alon rejected the idea out of hand, which sparked a heated argument with the prime minister on the purchase of the additional submarines. The prime minister, meanwhile, reprimanded the defense establishment over its intention to remove a submarine from the order of battle. At the same stage, Ya’alon and the IDF looked into the possibility that one of the bodies relevant to the “Gideon” plan had innocently worked with the NSC and provided a positive professional opinion on the purchase of the additional submarines. The issue was examined in the chief of staff’s office, in the Navy headquarters and in the Planning Directorate. No one in each of these three offices had a clue about the new submarine deal, and no one had been asked to present an opinion, a plan or a military demand. The defense minister managed to convince the prime minister that since the deal would not be implemented in the following five years, Netanyahu would reach an agreement in principle with the Germans regarding the possibility to purchase three submarines in the future to replace submarines that would go out of service. The defense minister further clarified that it was impossible to predict the Navy’s needs and technologies in another decade. Therefore, Israel and Germany should sign a memorandum of understanding in principle, without going into detail. In mid-February 2016, on the eve of Netanyahu’s visit to Germany, the defense minister’s office incidentally learned that the prime minister was planning to sign the purchase of three additional submarines during the visit and finalize a concrete timetable. That was also done without consulting the Defense Ministry or the IDF. The prime minister did not take with him any memo on the type of submarines or the extent of armament. This led to another serious conflict between Ya’alon and Netanyahu, with the prime minister arguing that German Chancellor Angela Merkel could lose the elections and then Israel might not be able to receive thee more submarines from Germany at such an attractive price. At the end of the argument, the prime minister left for Germany and only signed a memorandum of understandings, as he had agreed to previously. In the document, the Germans pledged to sell the submarines for a special price, and Israel promised to buy them. From that moment, the relationship between the defense minister and prime minister began deteriorating. It was aggravated by ethical disputes over the issue of backing IDF officers and the Elor Azaria affair. Three months later, Netanyahu’s conduct finally prompted Ya’alon to resign. The ties between the Prime Minister’s Office and the German shipyard in Kiel first raised suspicions about three years ago, when the Defense Ministry issued an international bid for the construction of four vessels to defend the oil rigs. The prime minister insisted on signing the deal in Germany, claiming that the Germans were giving Israel a discount. But the Defense Ministry had a problem with the German shipyard, which they said had raised the price first and then given reductions. Netanyahu’s pressure eventually worked, and the deal was finalized. Why was Netanyahu so eager to finalize a submarine deal with Germany, which would only be implemented in at least 10 years? Why did the prime minister ignore all the professional elements – the Navy, the Planning Directorate and the Defense Ministry – and make a decision on his own to force the state to purchase the most expensive weapon Israel has ever purchased? Why did he hide his intention to sign the submarine purchase deal during his visit to Germany from the defense establishment? And why did he insist on calling off the international bid for the purchase of vessels to protect the oil rigs, while insisting on signing the other deal with the German shipyard? The prime minister and NSC say the need to purchase three additional submarines was worked out in great detail. But no such work was carried out in the IDF, in the Navy or in the Planning Directorate. If such work was done anywhere, it was only in the NSC. The planned purchase aims to replace within the next decade the oldest submarines in its existing Dolphin fleet, which began entering service in 1999, the Maariv daily reported. Contacted by AFP, the "Defense Ministry" declined to comment on the report. Israel already has five of the state-of-the-art German submarines, with a sixth due for delivery in 2017. Foreign military sources and governments say the Dolphins can be equipped with missiles armed with nuclear warheads. They believe Israel has between 100 and 200 warheads and missiles capable of delivering them. The new submarines are said to be more advanced, longer, and equipped with better accessories, the newspaper added. The new Israeli UAV will be capable of carrying supplies and special reconnaissance equipment, hover for long periods of time, and operate at a range of 10 kilometers. The IDF is developing a new drone, the first of its kind to be developed by the Israeli military in-house. The development of the drone, codenamed Tzur, began about two years ago, and could conclude in a year, following further tests. The Tzur is larger than standard civilian drones, which have been used by the IDF for short-range surveillance over the past two years. The final model of the Tzur is expected to weigh about 10-15 kilograms, with its blade span being 1.5 meters. It has a wide range of capabilities, including quality visual surveillance, both in daytime and nighttime, and transportation of supplies and ammunition. It will be operable at a distance of up to ten kilometers, capable of flying to heights of hundreds of meters, and carrying several kilograms of cargo. "It'll have several advantages over the existing hoverers, and over the (large and small drones)," a high-ranking IDF official explained. "Its engine will be silent, it will be able to move in urban territory between alleys and structures, and even station itself, unmoving, in front of the window of a room for long periods of time—stealthily and without being seen—and capture what's happening inside. The great challenge in developing (it) is time in the air versus the complexity of its missions. (Plane-sized drones) are limited in where they can land and are more complex to pilot. 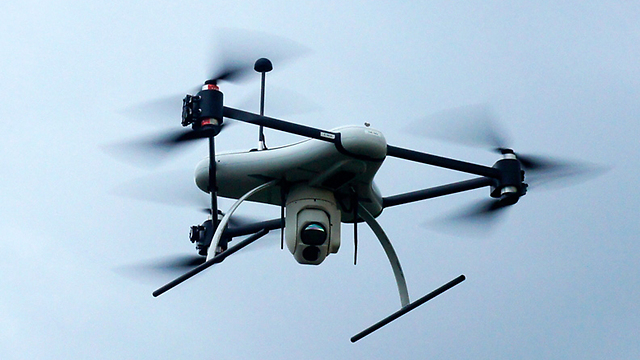 We'll want a soldier to learn how to fly this kind of drone within an hour." In general, the IDF is contemplating expanding the use of hoverer drones in its combat operations. The Israeli military would like to see each combat battalion have use of at least one hover drone, just as many now have use of drones like the Skylark.